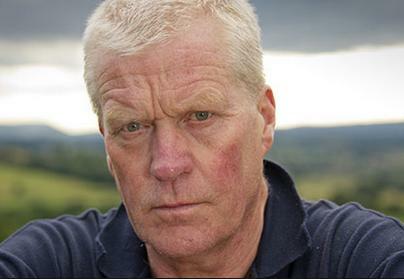 SPELLING IT OUT: David Handley, Farmers For Action chairman, has told the public and Government to ensure the farming industry gets a living wage and act on food security. He is meeting a minister at Sedgemoor Livestock Centre with NFU dairy chairman Rob Harrison and the Tenant Farmers Association. 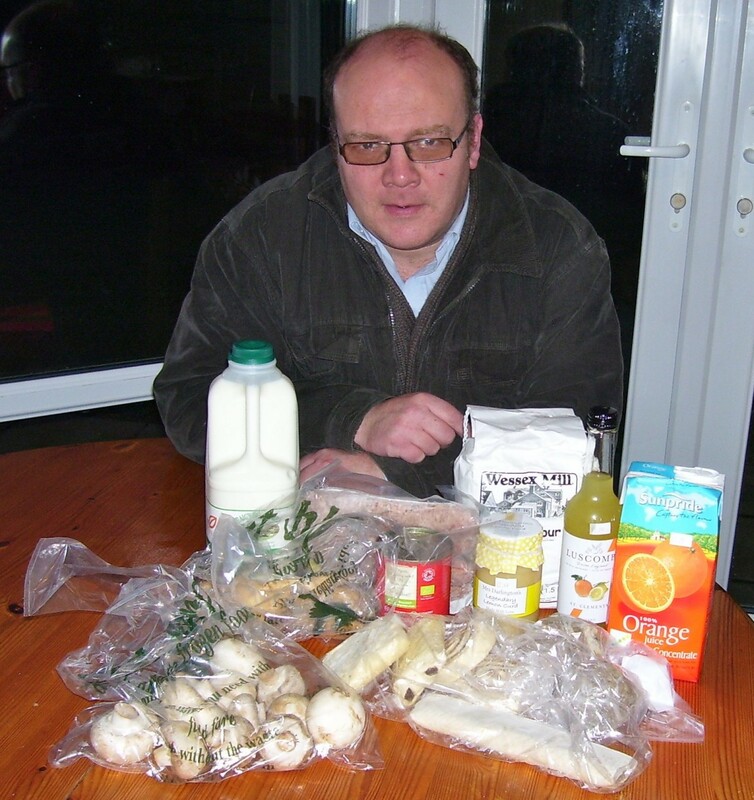 LOCAL PRODUCE: This is a hamper of produce I purchased from Holme Gardens Farm Shop in Lulworth on Purbeck. Buying more local produce will help farmers and their supply chains survive and mitigate the impact of food losses on supermarket-bound lorries caused by human contamination at Calais. 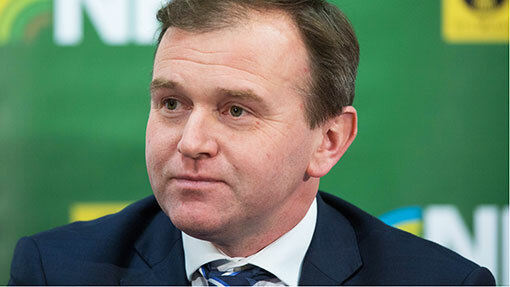 HANDS ON: According to Defra’s website, the family of George Eustice, MP for Camborne and Redruth and farming minister, run a fruit farm, restaurant and farm shop in Cornwall, have a herd of South Devon cattle and breed a Rare breed pig, the Lop. The family educate 3,000 schoolchildren during farm visits about the industry on an annual basis. WHAT is “food security” and why should the average member of the public in a large town like Bournemouth, Taunton or Yeovil , what has it got to do with me? Another relative term associated to this is “community food security” too. It is measured in terms of food access and availability at an individual or household level (in health and social policy) and at an international and global level (international development and aid work). For the ordinary person reading this, it is the first definition you need to register. We live in uncertain times and these are the times we need to act – not stick our heads in the sand. A country becomes a basket case if it can’t feed its population. Whilst I don’t want to comment on the stories of individual migrants, when they force themselves into an articulated lorry bound for Britain with perishable produce, the whole consignment has to be thrown away. This will have a knock-on effect on certain lines on supermarket shelves, and the threat invariably goes up depending on the level of food that is being imported. Since French channel port workers blocked the entrance to the Channel Tunnel at Calais, queues of lorries, cars and other vehicles have backed up for miles and put more perishable produce at risk of being contaminated after being broken into. The estimated cost so far has been £10M to the hauliers and grocery industries. In raising this issue, I do not want to trivialise the hardships faced by the migrants at Calais, but this is about the public health and food security of this country and it is disingenuous to shout “racist” about something of genuine public concern. When we are dependent on hauliers stocking up our supermarkets from Europe and the rest of the UK, it shows how fragile our food supply chain is and it is absolutely imperative that someone like George Eustice, Farming minister and MP for Camborne and Redruth in Cornwall and a rural constituency, should get it more than most as he is from a farming background. Whilst once again I am not telling anyone reading this not to use supermarkets, please take the chance to support farm shops, local butchers and bakers and delicatessen shops when and where you can. Supporting these outlets generates more income in rural communities than a supermarket. This can and will help mitigate the threat to our supply chain through contaminated produce. In doing this, you are not only supporting these businesses and their supply chains, but you are enabling resources to put into the conservation of the New Forest National Park; the Purbecks; the Somerset Levels, the Cranborne Chase, the Mendip Hills, the Jurassic Coast or the Blackmore Vale. It has got so serious that a platform is being shared by Farmers For Action David Handley, NFU dairy chairman Rob Harrison and George Dunn of the Tenant Farmers Association at an urgent meeting at Sedgemoor Livestock Market. Please remember it is not just the farm to think about. Think of the industries linked to the farm – haulage, manufacturing, food processors, crop research, animal health, feed suppliers, milking parlour equipment, farm shops, restaurants, hunting, shooting and fishing and rural tourism entreprises like bed and breakfasts and paintball. Mr Handley said: “To all you dairy farmers in the South West let’s see you at Sedgemoor Market tonight (22/7) a thousand of you there and tell George Eustice that we’ve had enough. Farmers deserve a living wage as well as the rest of the population. On social media, Darren James highlighted the current relationship between supermarkets and their suppliers as similar to that faced by the Tolpuddle Martyrs. He said: “As with today the cost of living dictates what each family needs to earn in order to ‘live’. In 1832 in the village of Tolpuddle, Dorset SW England 6 workers from the underpaid agricultural industry endured 3 straight years of pay cuts below that which they could sustain themselves.